Many of our national parks, monuments, and seashores were established because of their inspiring geological features—from the geysers of Yellowstone to the granite peaks of Yosemite. 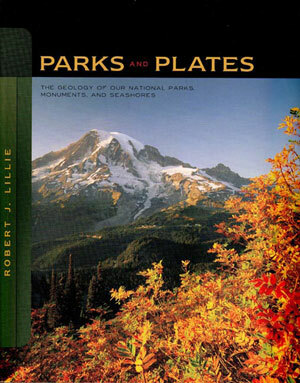 In Parks and Plates, Robert J. Lillie explains the fascinating geological processes that have formed these dramatic volcanoes, shorelines, and landscapes. Structuring the text around major geological features, Lillie highlights geologic patterns across many different parks and uses over 100 park sites to illustrate plate tectonics visually. Lavishly illustrated with full-color photographs, diagrams, and maps, Parks and Plates is the ideal text to enrich undergraduates’ experience of our national parks.